My name is Silvia and I was born and raised in Bulgaria. Although traveling is my passion, India seemed like a very far-off, unknown place. After two weeks there, however, it no longer feels so distant. 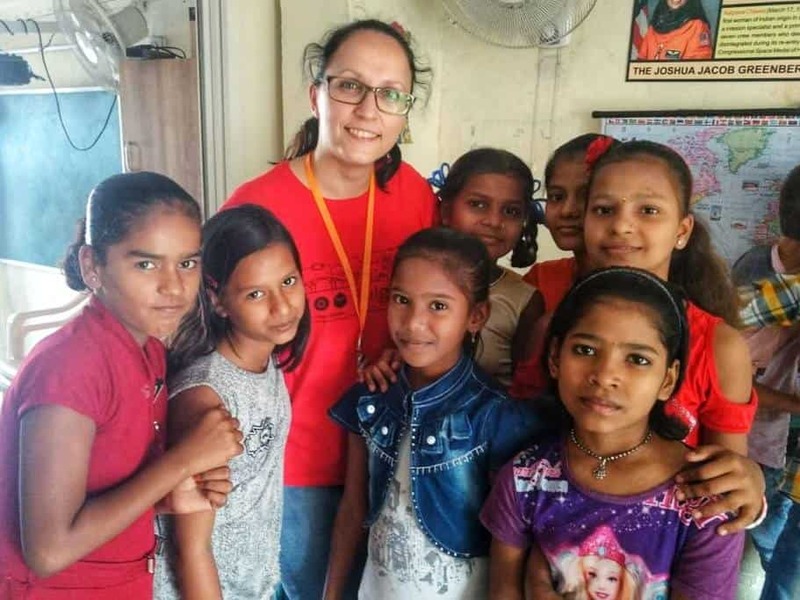 I am happy that JDC Entwine provided the opportunity to spend time with and learn from the organization Gabriel Project Mumbai (GPM) through the Marion Lemesh Fellowship. GPM is an NGO that works with some of the most vulnerable communities in India to help break the cycle of poverty and hunger. This experience allowed me to use what I’ve learned as a madricha (counselor) and embody the Jewish value of Tikkun Olam, a very powerful and inspiring combination. I had heard many different things about India from friends who traveled there, so I tried not to enter the experience with expectations and committed to keeping an open mind. As it turns out, this was the best decision. Mumbai is a place of diversity, extremes, and is often a roller coaster of emotions. Everything in Mumbai is so rich and colorful – from the traffic, to the skyscrapers, to the spices. I challenged myself. Heading into the experience, I wasn’t sure what my role would be. This uncertainty challenged me to speak with the staff, connect with the kids, and go through educational materials. As I time went on, I learned about developing lesson plans, taught in English with Hindi translation, and most of all, understood how important it is to be flexible. My perspective changed. It’s easy to become consumed with your own reality, losing sight of the fact that other people have completely different ones. I got to meet wonderful, kind, and bright kids that live in unthinkable conditions, but maintain such a positive attitude. I realized how many of the things I worry about daily often don’t matter in the bigger picture. I saw what it means to give real support. Often we assume what others may want or need are the same as what we want and need. GPM is so special because it works with the community to fill THEIR needs. Starting with nutritious food, education, health care, hygiene and so much more. Working with children is so rewarding. I have previous experience working with kids and this confirmed that, no matter where they’re from, kids have a similar curiosity, innocence, and honesty. We only spent a couple of weeks together, but these children definitely have a special place in my heart and one day I hope to see them again. At the end I gained way more than I gave. Now that I’m back home I can’t stop thinking “what can I do more for communities?” The experience seemed to pass with a blink of an eye, but the time in India was enough to change my perspective – and for that I am very grateful!